May has been a busy month, so here is the news, part 2! 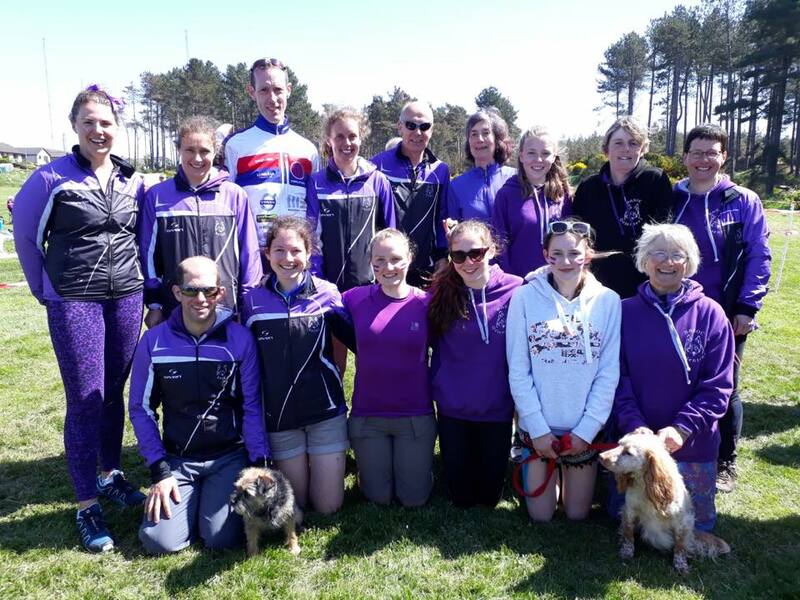 British Champs: Many BASOC members made the trip over to Royal Deeside for the weekend. While we might be a small club, we were very vocal whenever there was a hint of purple along the run in! Podium places were gained by some (congratulations), others were challenged by either the physical terrain or the complex navigation. Members helped on the relay day, thank you. Kat managed to get a half page spread in the 'Strathy' about the BASOC trip to the British Champs. Scottish Champs: BASOC were the car parking supremos for both the individual and relay days, thank you to all members who helped out. Again, some appeared on the podium, others had navigation wobbles around the marshes of Achagour. The relay area tested fine navigation amongst the forested sand dunes of Roseisle. Kat has done a great job and found all the BASOC photos which were taken at the relay (the photographer took over 770 photos!) and posted them on Facebook for us all to view. BASOC juniors are heading for Braemar on Sunday 17th June to compete in the Jamie Stevenson Trophy. We look forward to a report on this. The next one is coming up this Sunday, 3rd June in Darnaway. The last eNews mentioned that BASOC are involved in Day 3 at Dundurn; we are paired with ESOC. Two planners have come forward - Pete Halling from ESOC and Duncan Francis from BASOC, thank you Duncan. One organiser from ESOC has volunteered - can anyone in BASOC take on the role of the other organiser? Please let Lynne know. An assistant controller from ESOC has also volunteered. The committee does not just meet and chat over cake; we recently had a bit of a turn out of the BASOC equipment store with Issie Inglis taking a detailed inventory. there are still some tasks outstanding from this 'party' so Issie might be approaching you to find out if you can help. We have also just taken delivery of smart new signs (thank you Jo for doing this and thanks to Jane for putting the string onto them) and you will see then at the M&H Junior Champs. Many BASOC members are travelling abroad (by this, anywhere out of Scotland) this summer to O events - can we have reports and photos? So let's see what happened in Denmark (Zealand Champs, World Masters), Sweden (ScotJOS camp), France (OOCup), Lakes (5 Days) and anywhere else you ended up orienteering. Thank you for returning head torches. At the moment I (Lynne) am trying to find the charging unit for head torch number 2 (purple & red tape) as the charger returned with it is not the one for the torch and as there have been incidences of fires when non-compatible chargers are used . . . . Can anyone who borrowed a BASOC torch please have a search around for the charger?